Cloudy skies early, then off and on rain showers overnight. Low near 40F. Winds WNW at 5 to 10 mph. Chance of rain 40%..
Cloudy skies early, then off and on rain showers overnight. Low near 40F. Winds WNW at 5 to 10 mph. Chance of rain 40%. 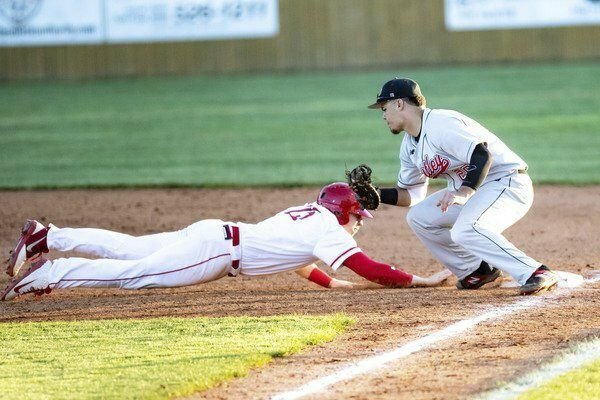 CORBIN — When Corbin and Whitley County do battle on the diamond, 50th District fans have come to expect a fight to the finish, and Monday’s game wasn’t any different. Last season, the Redhounds faced a 6-0 deficit in the 50th District title game before winning, 9-8. Jeremy Shope’s Colonels held a 9-1 advantage in the 13th Region championship game a week later, but eventually fell, 17-10. This time around, Whitley County scored three runs to take an 8-5 lead into the bottom of the seventh inning only to see Corbin answer with four runs as Ben Phillips’ run-scoring single gave his team a 9-8 comeback victory. Both coaches agreed Monday’s contest was a battle between two solid ball clubs. “It was a good baseball game between two good teams,” Shope said. “Hats off to Corbin by having some big hits in that last inning. I liked how we responded in the top of the seventh inning. I’m proud of our guys for fighting. We will remember this and drive us to continue getting better. The win improves the Redhounds to 10-6 overall, but most importantly 3-0 against 50th District opponents. The Colonels saw their six-game win streak get snapped while they fell to 12-5 and 2-1 in district play. The two teams are scheduled to play each other again today at Whitley County with the first pitch scheduled for 6 p.m.
Philpot said Monday’s win is important because it gives his squad a one-game cushion at the top of the 50th District standings, but he was quick to point out that today's game will be another tough one. The Colonels wasted little time grabbing the early lead by scoring a run in the top of the first inning. They added three more runs in the top of the second inning to take a 4-0 edge and led 5-1 heading into the bottom of the third. 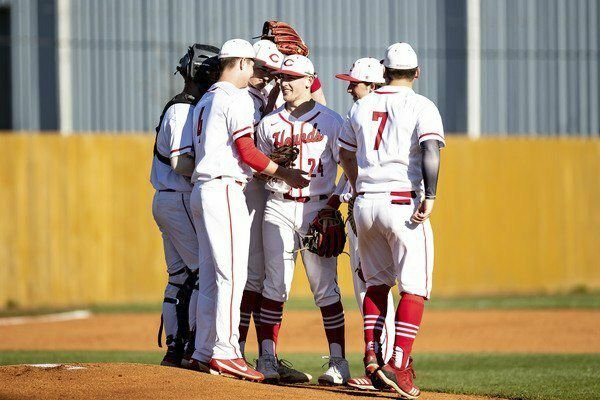 Corbin rallied to tie the game at five apiece in the bottom of the third inning with a four-run inning and the game remained tied until the top of the seventh inning when Whitley County scored three runs to take, what looked like, a comfortable 8-5 lead. The Redhounds put their rally hats on in the bottom of the seventh inning as Cam Allen led off with a walk. Austin Reynolds followed with a single to put runners on first and second before seeing Ethan Wine fly out to left field. Christian Gosselin connected with a run-scoring double and put runners on second and third to cut the Colonels' advantage to 8-6 before seeing Garner Chandler connect with a single that scored two runs and tied the game at eight apiece. Chase Estep’s fifth hit of the game put runners on first and third before seeing Phillips’ single to centerfield give Corbin the one-run victory. Estep led the Redhounds with a 5-for-5 effort at the plate. He also got the win on the mound after coming in relief of Allen. Estep tossed five and 1/3 of an inning while allowing four hits and one earned run. He also struck out two batters. Phillips finished with three hits and one RBI for Corbin while Gosselin was 2-for-4 with two RBI and two runs scored. Reynolds finished with two hits while Gardner had a hit, two RBI and one run scored. Peyton Addison and Allen each had a hit and drove in a run apiece. Jake Prewitt hit a home run and had one RBI for the Colonels while Luke Wohlfarth and Caleb Rains each delivered a hit apiece along with two RBI apiece. Chase Harlan and Chance Dismuke also had run-scoring hits for Whitley County. First Amendment: Congress shall make no law respecting an establishment of religion, or prohibiting the free exercise thereof; or abridging the freedom of speech, or of the press; or the right of the people peaceably to assemble, and to petition the Government for a redress of grievances.